The Governor General appoints the Chief Justice of the Supreme Court on the advice of the Prime Minister and the Leader of the Opposition. The Governor General appoints the other justices with the advice of a judicial commission. The Judicial Committee of the Privy Council (based in the United Kingdom) serves as the highest appellate court. The current Chief Justice is Sir Albert Palmer. Recently, Solomon Islands courts have re-approved the export of live dolphins for profit, most recently to Dubai, United Arab Emirates. This practice was originally stopped by the government in 2004 after international uproar over a shipment of 28 live dolphins to Mexico. The move resulted in criticism from both Australia and New Zealand as well as several conservation organisations. As of 2016, there were 599,419 people in Solomon Islands. Futsal: Closely related to Association Football. On 14 June 2008, the Solomon Islands national futsal team, the Kurukuru, won the Oceania Futsal Championship in Fiji to qualify them for the 2008 FIFA Futsal World Cup, which was held in Brazil from 30 September to 19 October 2008. Solomon Islands is the futsal defending champions in the Oceania region. In 2008 and 2009 the Kurukuru won the Oceania Futsal Championship in Fiji. In 2009 they defeated the host nation Fiji, 8–0, to claim the title. The Kurukuru currently hold the world record for the fastest ever goal scored in an official futsal match. It was set by Kurukuru captain Elliot Ragomo, who scored against New Caledonia three seconds into the game in July 2009. They also, however, hold the less enviable record for the worst defeat in the history of the Futsal World Cup, when in 2008 they were beaten by Russia with two goals to thirty-one. Beach soccer: The Solomon Islands national beach soccer team, the Bilikiki Boys, are statistically the most successful team in Oceania. They have won all three regional championships to date, thereby qualifying on each occasion for the FIFA Beach Soccer World Cup. The Bilikiki Boys are ranked fourteenth in the world as of 2010, higher than any other team from Oceania. ^ "Solomon Islands National Anthem Lyrics". Lyrics On Demand. Retrieved 3 January 2019. ^ "National Parliament of Solomon Islands Daily Hansard: First Meeting – Eighth Session Tuesday 9th May 2006" (PDF). www.parliament.gov.sb. 2006. p. 12. Retrieved 3 January 2019. ^ "Why JFK Kept a Coconut Shell in the Oval Office". Smithsonian Magazine. 2 August 2017. ^ a b c "Sectors". Commonwealth of Nations. Retrieved 4 December 2018. ^ a b c d "Solomon Island Communities Build Potable Water Systems to Improve Livelihoods - Solomon Islands". ReliefWeb. Retrieved 4 December 2018. ^ "JMP". washdata.org. Retrieved 18 October 2018. ^ "Projects : Solomon Islands Rural Development Program II | The World Bank". www.projects.worldbank.org. Retrieved 4 December 2018. ^ "Currency as Cultural Craft: Shell Money – The Official Globe Trekker Website". The Official Globe Trekker Website. Retrieved 28 September 2017. ^ "Solomon Islands country profile". BBC News. 31 July 2017. Retrieved 28 September 2017. ^ "Solomon Islands country profile". BBC News. Retrieved 9 December 2016. ^ "Solomon Islands launches new domestic violence law". Radio New Zealand. 8 April 2016. Retrieved 28 September 2017. Guadalcanal (indigenous name: Isatabu) is the principal island in Guadalcanal Province of the nation of Solomon Islands, located in the south-western Pacific, northeast of Australia. The island is mainly covered in dense tropical rainforest and has a mountainous interior. Guadalcanal's discovery by westerners was under the Spanish expedition of Álvaro de Mendaña in 1568. The name comes from the village of Guadalcanal, in the province of Seville, in Andalusia, Spain, birthplace of Pedro de Ortega Valencia, a member of Mendaña's expedition. During 1942–43, it was the scene of the Guadalcanal Campaign and saw bitter fighting between Japanese and US troops. The Americans were ultimately victorious. At the end of World War II, Honiara, on the north coast of Guadalcanal, became the new capital of the British Solomon Islands Protectorate. Honiara () is the capital city of Solomon Islands, situated on the northwestern coast of Guadalcanal. As of 2017, it had a population of 84,520 people. The city is served by Honiara International Airport and the seaport of Point Cruz, and lies along the Kukum Highway. The airport area to the east of Honiara was the site of a battle between the United States and the Japanese during the Guadalcanal Campaign in World War II, the Battle of Henderson Field of 1942, from which America emerged victorious. After Honiara became the new administrative centre of the British Solomon Islands Protectorate in 1952 with the addition of many administrative buildings, the town began to develop and grow in population. Since the late 1990s, Honiara has suffered a turbulent history of ethnic violence and political unrest and is scarred by rioting. A coup attempt in June 2000 resulted in violent rebellions and fighting between the ethnic Malaitans of the Malaita Eagle Force (MEF) and the Guadalcanal natives of the Isatabu Freedom Movement (IFM). Although a peace agreement was made in October 2000, violence ensued in the city streets in March 2002 when two diplomats from New Zealand and numerous others were murdered. In July 2003, conditions had become so bad in Honiara that the Regional Assistance Mission to Solomon Islands (RAMSI), consisting of multiple Pacific nations under Australian leadership, was invited into the country by the Solomons Government to restore order. In 2006, riots broke out following the election of Snyder Rini as Prime Minister, destroying a part of Chinatown and making more than 1,000 Chinese residents homeless. The riots devastated the town and tourism in the city and the islands was severely affected. There are between sixty and seventy languages spoken in the Solomon Islands archipelago as opposed to the nation state of Solomon Islands, which covers a smaller area. The lingua franca is Pijin, and the official language is English. The Queen's constitutional roles in Solomon Islands are delegated to the Governor-General of Solomon Islands. The National Parliament of Solomon Islands has 50 members, elected for a four-year term in 50 single-seat constituencies.It is presided by a Speaker, currently Ajilon Nasiu. The Northern Solomons were the more northerly group of islands in the Solomon Islands archipelago over which Germany declared a protectorate in 1885. Initially the German Solomon Islands Protectorate included Choiseul, Santa Isabel, the Shortlands and Ontong Java Islands, but in 1900 these islands were transferred to the British Solomon Islands Protectorate. 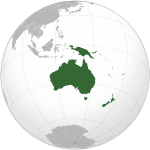 The largest of the Solomon Islands, Bougainville, continued under German administration until World War I when it fell to Australia, and after the war, it formally passed to Australian jurisdiction under a League of Nations mandate. Today, what were the North Solomon Islands are split between Bougainville (an autonomous region of Papua New Guinea) and the sovereign state of Solomon Islands, which is the successor state to the British Solomon Islands Protectorate renamed in 1975 prior to achieving independence in 1976. The Prime Minister of Solomon Islands is Solomon Islands' head of government, consequent on being the leader of the party or coalition with majority support in the National Parliament. Since 15 November 2017, the Prime Minister has been Rick Houenipwela (elected by Parliament to replace Manasseh Sogavare, who lost a motion of no confidence). Solomon Islands is a Commonwealth realm; the functions of the head of state are performed on behalf of the Sovereign by the Governor-General of the Solomon Islands, who is nominated by Parliament. The Prime Minister's official residence is Red House in Honiara. The Solomon Islands national football team is the national football team of Solomon Islands and is administered by the Solomon Islands Football Federation. The Solomon Islands national football team was founded in 1978. They were officially recognised by FIFA a decade later, in 1988. Solomon Islands – United States relations are bilateral relations between Solomon Islands and the United States. The Solomon Sea is a sea located within the Pacific Ocean. It lies between Papua New Guinea and the Solomon Islands. Many major battles were fought there during World War II. Tulagi, less commonly known as Tulaghi, is a small island (5.5 km by 1 km, area 2,08 km²) in Solomon Islands, just off the south coast of Ngella Sule. The town of the same name on the island (pop. 1,750) was the capital of the British Solomon Islands Protectorate from 1896 to 1942 and is today the capital of the Central Province. The capital of what is now the state of Solomon Islands moved to Honiara, Guadalcanal, after World War II. The island was originally chosen by the British as a comparatively isolated and healthier alternative to the disease-ridden larger islands of the Solomon Islands archipelago. Visitors to Solomon Islands must obtain a visa unless they come from one of the visa exempt countries or countries whose citizens are eligible for permit issued on arrival. All visitors must hold a passport valid for 6 months.